The UAE has always been a model of tolerance and coexistence worldwide, set apart by values that promote openness, acceptance and respect for ethnic and religious diversity. With a deep commitment to safeguarding freedom of beliefs, the UAE renounces discrimination, hatred and racism. The country has also always extended a helping hand to those in need. Figures from the Organisation for Economic Cooperation and Development (OECD) show that UAE foreign aid amounted to $5.26 billion (Dh19.34 billion) in 2017 — support that was not tied to religion, race, gender or geographic location. Set against this context, describing the UAE as merely a model of tolerance and coexistence falls short, especially when we look at its pioneering initiatives. The UAE has in fact emerged as a global capital of tolerance that sends messages of love and peace around the world. Led by the United Nations, the world marks November 16 every year as an International Day for Tolerance, but the UAE has declared the whole of 2019 as the Year of Tolerance. 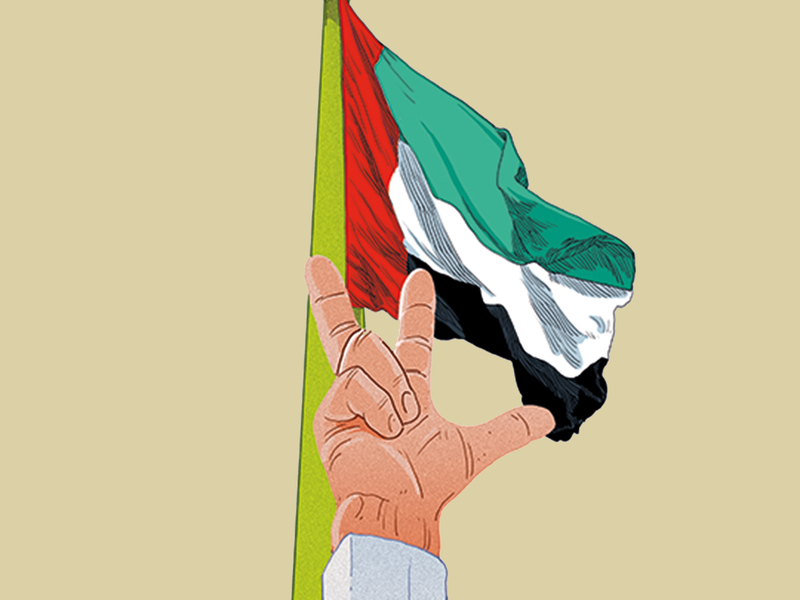 This reaffirms just how deep-rooted tolerance is in the UAE psyche, and how fundamental it is to the nation’s vision now and in the future as it plays an ever-increasing role in the international arena. It is fitting that the Year of Tolerance began as the UAE made history by welcoming Pope Francis, Head of the Catholic Church, on the first papal visit to the Arab peninsula. He was joined by Dr Ahmad Al Tayyeb, Grand Imam of Al Azhar Al Sharif, in signing the Human Fraternity Declaration that promotes a message of peace and coexistence between followers of different faiths all over the world. This unprecedented declaration, signed in the land of tolerance, embodies the very heart of the UAE’s philosophy on tolerance as humanity’s path to well-being, cooperation, prosperity and peace. These values were echoed by His Highness Shaikh Mohammad Bin Zayed Al Nahyan, Crown Prince of Abu Dhabi and Deputy Supreme Commander of the UAE Armed Forces, in his historic statement to the world as he welcomed the pope and the grand imam. Reaching out to all those who believe in humanity’s shared destiny, Shaikh Mohammad Bin Zayed said: “The universe accommodates all of us, diversity is a source of wealth and not a cause of conflict or strife. God has created us differently so that we can complement and know each other, and work together for the sake of peace and prosperity for all. When I say that the UAE is the capital of tolerance in the world, or the global capital of tolerance, I draw on a long history that stretches back at least to the inception of the UAE in 1971. Tolerance was the very foundation upon which the UAE was built, as different emirates moved beyond disagreement to achieve unity. The UAE’s call for tolerance has worldwide credibility because its leadership sets the example in words, but most importantly, through decisive action. One clear example of this is the initiative from Shaikh Mohammad Bin Zayed to rename Shaikh Mohammad Bin Zayed Mosque to Mary, Mother of Jesus Mosque. Meaningful steps in the quest for tolerance can also be seen in the UAE’s institutional approach. In February 2016 the UAE Ministry of Tolerance was established. While in June 2016 the UAE Cabinet approved the National Tolerance Programme to promote principles of coexistence as enshrined in Islam, the UAE Constitution, the legacy of Shaikh Zayed, international conventions and common values. The UAE’s National Tolerance Programme has five main aims: To strengthen the government’s role as an incubator of tolerance; consolidate the role of a connected family in nation-building; promote tolerance among young people and protect them from fanaticism and extremism; enrich scientific and cultural content, and integrate international efforts to promote tolerance and highlight the leading role of the UAE in this area. Another important stride towards tolerance came in July 2015 when President His Highness Shaikh Khalifa Bin Zayed Al Nahyan issued Federal Decree No 2 of 2015 on Combating Discrimination and Hatred. The law criminalises any act of religious vilification and combats all forms of discrimination, preventing any speech that triggers hatred through any means or form of expression. The law prevents discrimination against individuals or groups based on religion, doctrine, belief, creed, caste, race, colour or ethnic origin. It also includes provisions that aim to promote tolerance in UAE society and to provide a solid legislative platform for it. Building on this, in 2017, the International Institute for Tolerance was launched to “spread a culture of tolerance in UAE society, build a coherent society, promote the UAE as a role model of tolerance, counter extremism and prevent all forms of discrimination among people, based on religion, gender, race, colour or language”. ■ First: In seeking to spread the principles of tolerance, the UAE has transcended the local and regional level to become a global capital of tolerance. Signing The Human Fraternity Document, launching the Human Fraternity Award, and signing the foundation stone for the Mosque of Grand Imam Ahmad Al Tayyeb, and the Church of Saint Francis in the UAE, are the greatest manifestations of this, confirming that the entire world trusts, supports and encourages the UAE as we move forward with great credibility in the global arena. ■ Second: In its approach to promoting tolerance, the UAE is playing a key historical and cultural role by reflecting the true image of Arabs and Muslims in the global arena. In this way, it is also introducing the true face of Islam, which has been tarnished by extremists who have hijacked the faith and presented it to the world as a religion of extremism, terrorism, fanaticism, and bloody violence. Instead, the UAE leads the way in presenting Islam as a religion of tolerance, compassion and forgiveness. ■ Third: In its endeavour to spread tolerance regionally and globally, the UAE is serving peace, security, stability and development worldwide. Acting in the belief that tolerance is humanity’s path to overcome religious, ethnic and sectarian conflicts, we can avoid repeating history’s mistakes, including religious and sectarian wars that have claimed the lives of millions. “Tolerance is a powerful weapon that can defeat evil no matter how powerful it may be, and can redirect the path of the world for the better,” as Shaikh Mohammad Bin Zayed said. ■ Fourth: The UAE is not only a role model for tolerance in terms of laws, initiatives and policies, but also through public attitudes. UAE society is open-minded and moderate, rejecting fanaticism and radicalism. It does not tolerate any extremist or terrorist tendencies. This is exemplified by an opinion poll conducted by the Emirates Centre for Strategic Studies and Research in December 2017 on UAE citizens’ opinion of the Muslim Brotherhood as a representative of extremism and fanaticism. The survey revealed that 97.55 per cent of the people asked had a very negative or negative opinion about the Muslim Brotherhood. This consensus, between official and popular attitudes with regard to tolerance, ensures the UAE’s unique, powerful, pioneering and credible approach. Consequently, following the historic visit by the pope and the grand imam, and its significant outcome for peace, security and coexistence in the world, I can say with confidence that the UAE leadership, the pope and the grand imam, deserve the Nobel Peace Prize. I believe no unbiased person in the world would disagree with me on this.